Seminars – Castle Publications, Ltd.
Each of our programs is designed to provide a meaningful examination of the state and federal laws in their respective areas, as well as many practical concerns. Particular attention will be devoted to areas of frequent concern to California employers and common pitfalls that have resulted in significant employer liabilities. The programs are intended to show employers HOW TO avoid, limit, and eliminate liabilities. Along with the extensive course materials (FREE to all registrants), the programs will enable employers to understand what the laws require and how to comply. Click the program name for more information. This unique one-day program addresses the California and federal wage and hour laws, including changes and developments in the field. Hundreds of California employers, HR officials, controllers, attorneys, payroll professionals, accountants, and supervisors attend Simmons’ wage and hour programs each year. 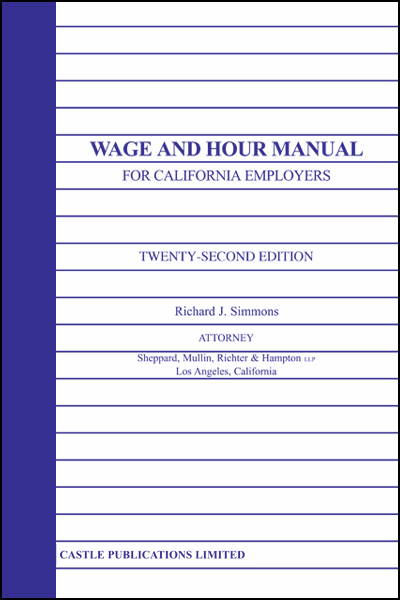 This year registrants will receive a free copy of the 2019 Edition of the WAGE AND HOUR MANUAL FOR CALIFORNIA EMPLOYERS by Attorney Richard J. Simmons (over 1020 pages). The book is absolutely the best resource on the topic, has been cited by courts and the enforcement agencies as an authoritative text, and is widely recognized as the leading text in its field. The seminar is designed to provide a guide through the ever-changing maze of state and federal employment discrimination laws. The program is attended by HR officials, personnel specialists, attorneys, consultants, owners, supervisors and other management officials. 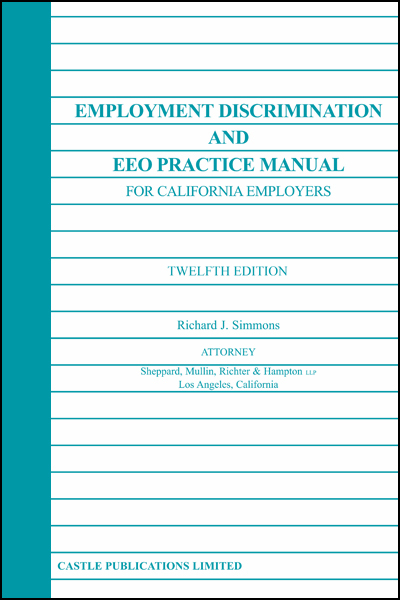 Registrants will receive a free copy of Richard J. Simmons’ 2019 Edition of the EMPLOYMENT DISCRIMINATION AND EEO PRACTICE MANUAL FOR CALIFORNIA EMPLOYERS (over 860 pages). The California Department of Fair Employment and Housing has recognized the value of this Manual and obtained copies of prior editions for investigators, consultants and supervisors throughout California. The seminar will examine the legal and practical issues associated with employee handbooks. It will discuss techniques to drafting policies that will implement employers’ objectives while safeguarding their interests. The unique book and the program will assist employers to identify and reduce their exposure to liabilities. Numerous kinds of policies will be reviewed and more than 460 sample policies will be provided, including policies on termination, progressive discipline, at-will employment, cell phones, vacation benefits, sick pay, leaves of absence, social media, reference requests, and performance evaluations, among others. You will not want to miss this invaluable workshop. 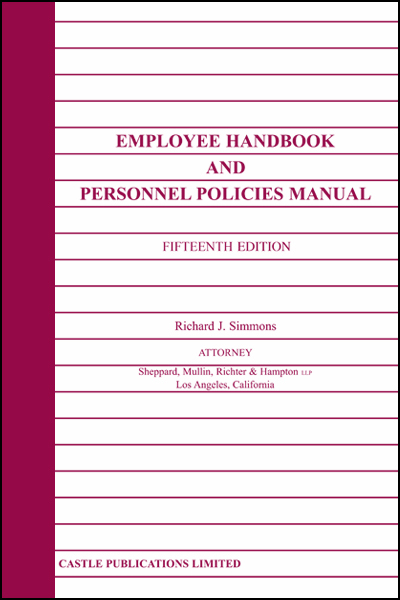 The program features Richard J. Simmons’ 2019 Edition of theEMPLOYEE HANDBOOK AND PERSONNEL POLICIES MANUAL (over 780 pages), which will be provided free to all registrants. It is an indispensable resource that has received national acclaim and is valuable for employers in all industries.